The anime Toradora! finished it’s run several years ago. Leaving a positive feedback and a fairly large fanbase. A follow-up to that, is an un-aired bonus episode bundled with the Blu-ray Boxset which came out only a few months ago. 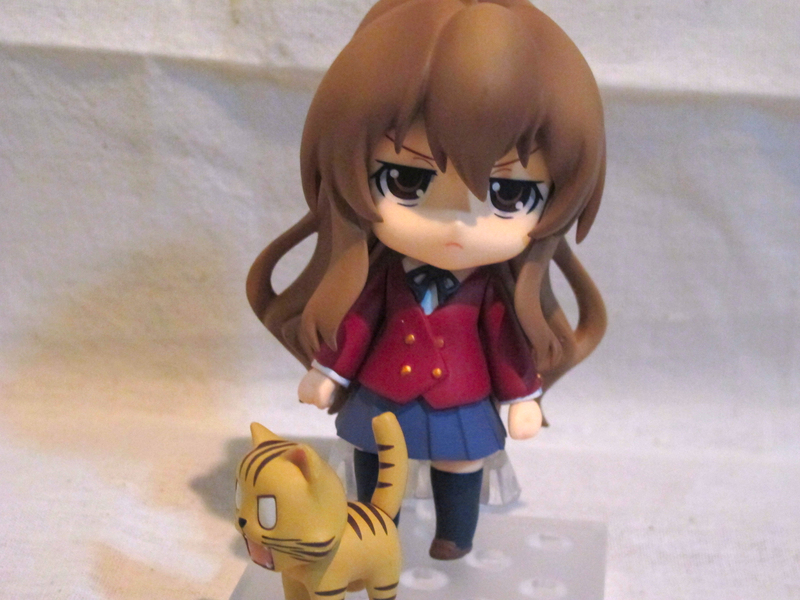 Good Smile Company took this chance and announced the Nendoroid-counterpart of Taiga, Palm-top Tiger, the main protagonist. Featuring her full-Tsundere expressions as she’s really to smack Ryuji! 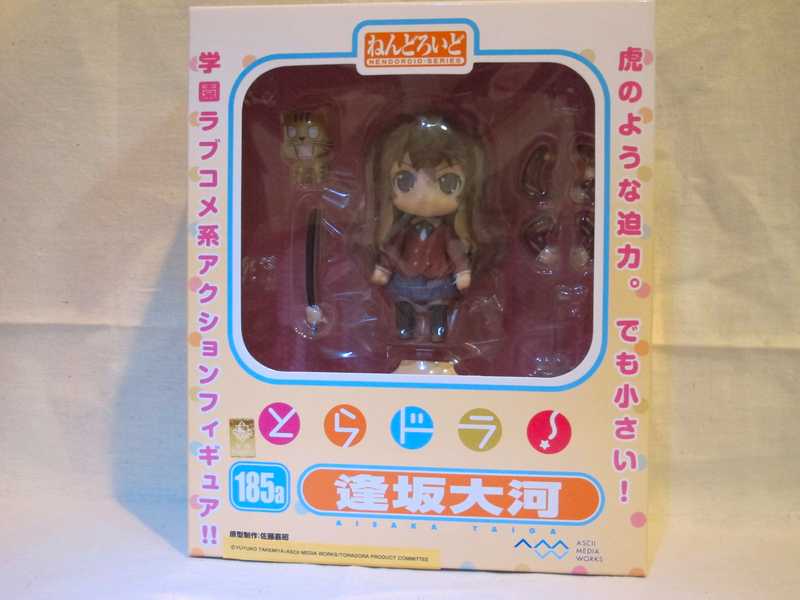 Taiga has a very cute and colorful Nendoroid-format box. 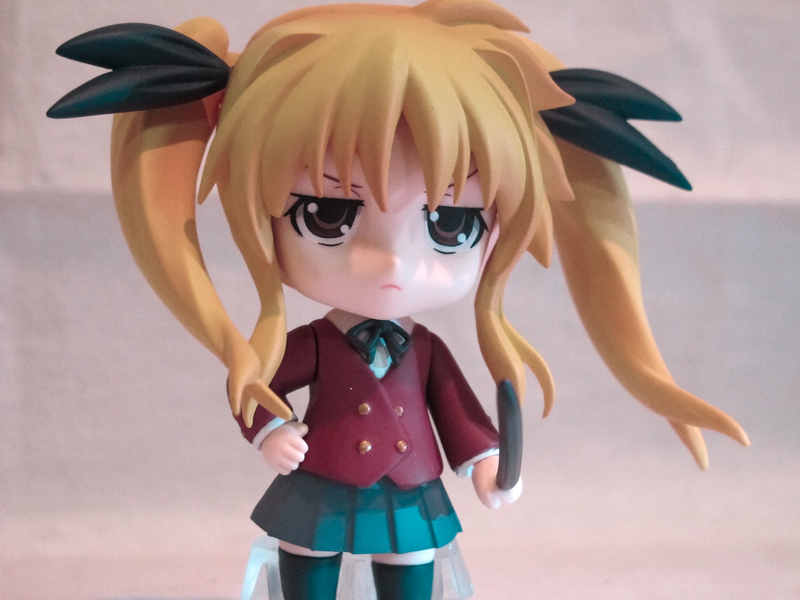 The Toradora! logo is there and the overall color tone is really sweet. I expect no less from GSC. The brown on her hair could be a mix-bag. Then again, it should be pretty hard to capture Taiga’s hair colortone. I’m personally happy with this, very neatly done. Her uniform is accurate and detailed, coloring is clean, nothing to complain about. 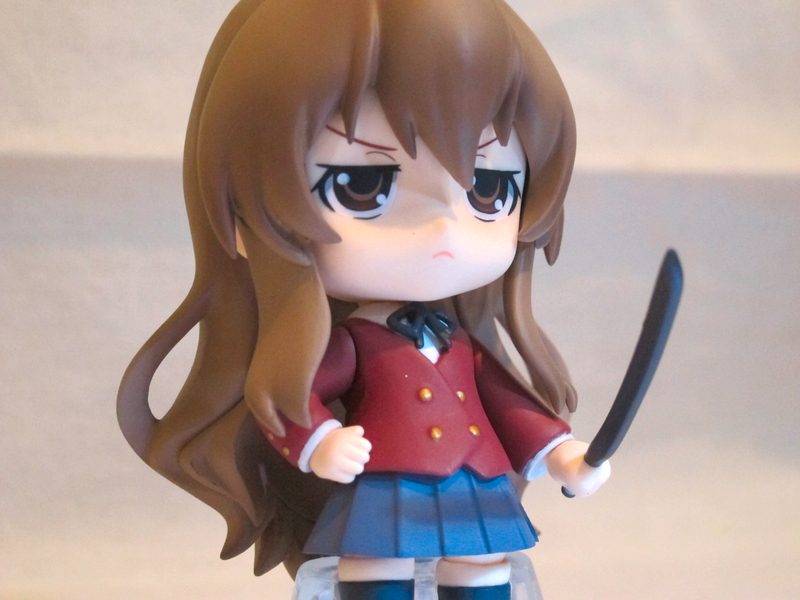 Taiga has three sets of arms, and one extra hand equipped with her wooden sword. Posing is really easy(in comparison to Fate…) but it doesn’t offer much move-ablity. You’re pretty much dead lock to what is shown around the box with a few other variation. Before I forgot, the Tenori Tiger. Closing Comments: Taiga is very beautiful and detailed in terms of coloring and sculpting. The real downfall is the lack of poses and playability. Not to mention she only has two facial expressions. 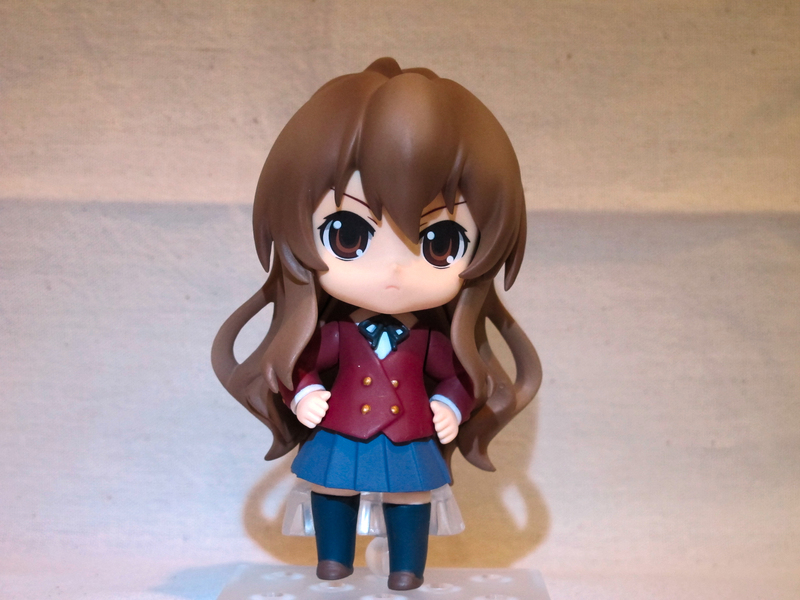 If you like Taiga in her full-tsundere mode, then this is the figure you shouldn’t miss. 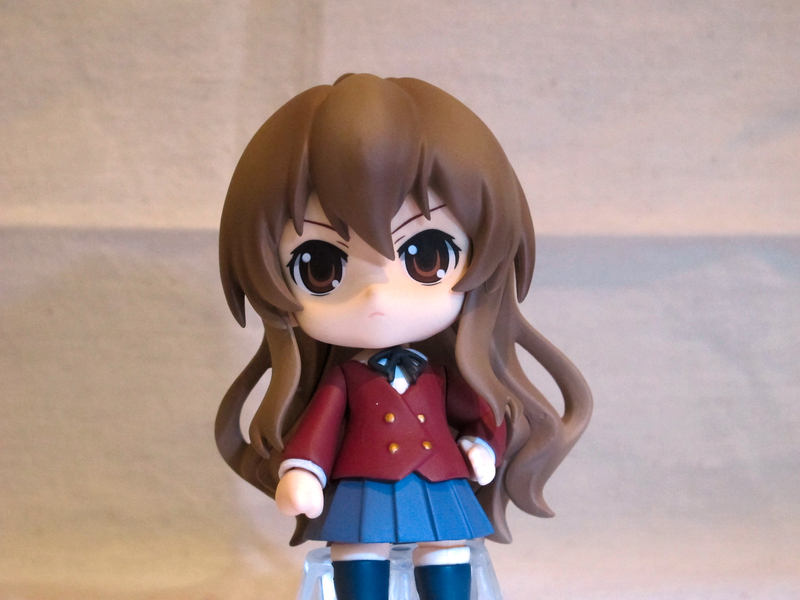 This entry was posted in Reviews and tagged Good Smile Company, Nendoroid, Review, Taiga Aisaka, Toradora. ← Nanoha The MOVIE 2nd A’s – PV2 Released!